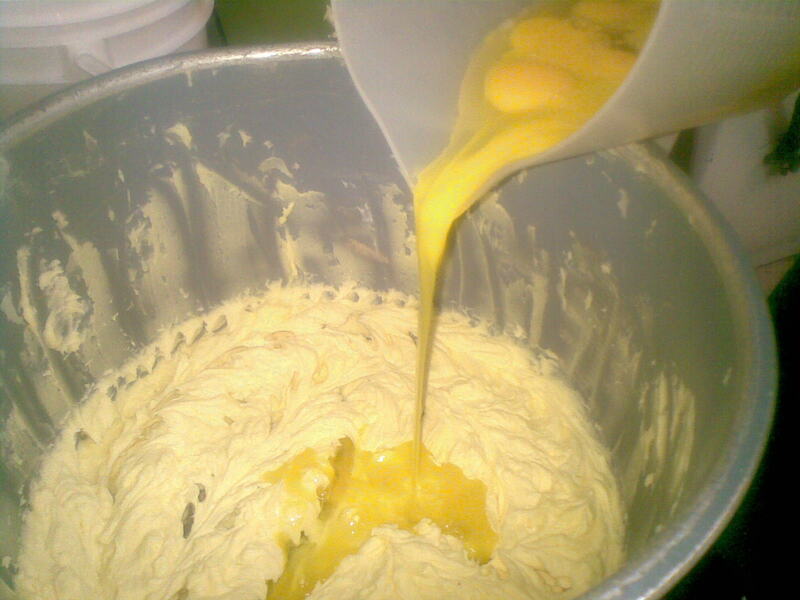 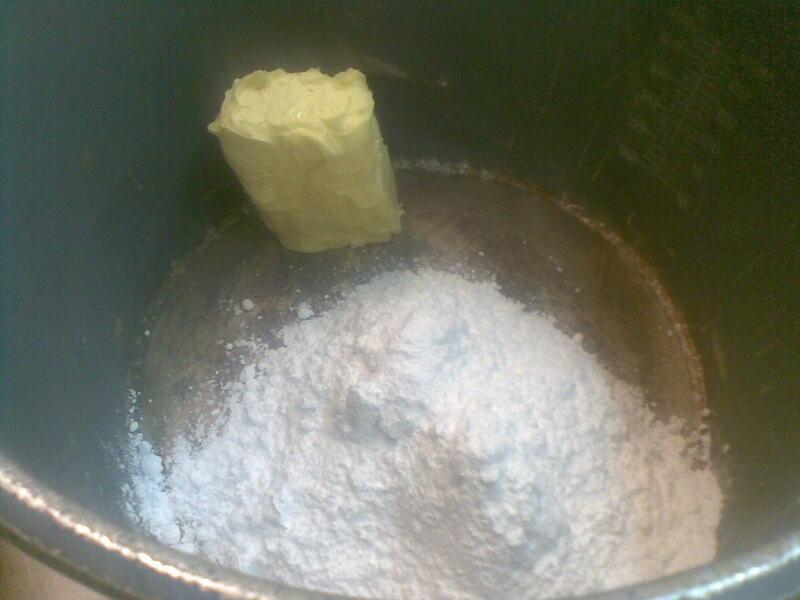 First step,mix the icing sugar and butter in a medium bowl.Make sure you use non stick bowl to make it lot easier for you to mix it later.You can use small hand mixer to get better result. 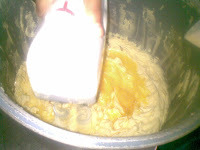 Second step,after both ingredient mix well,slowly add the egg. Continue mix it until it became fluffy. 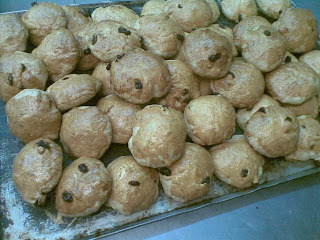 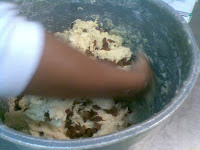 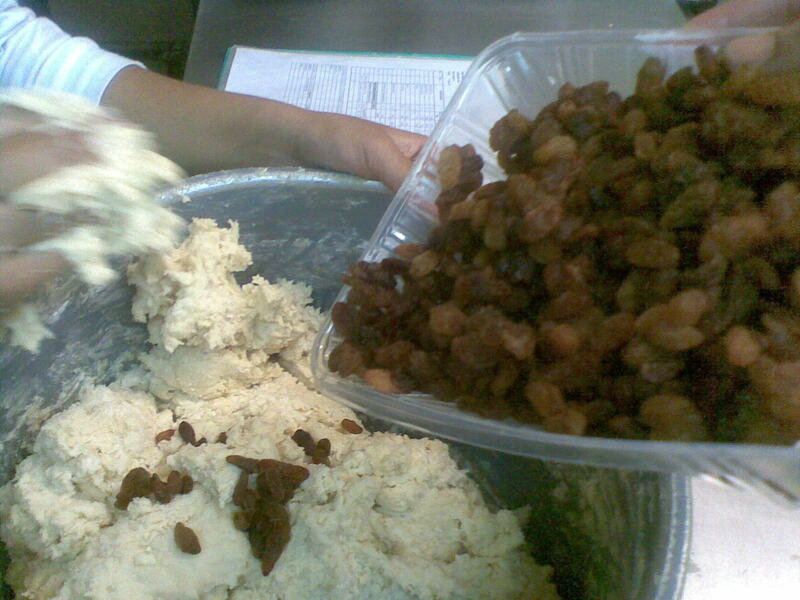 For step three,add baking powder,flour and raisin altogether but remember to add the flour slowly because it will getting harder to mix.You probably need to use your hand to mix it for better result.Make sure the raisin goes last. 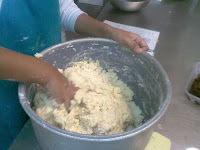 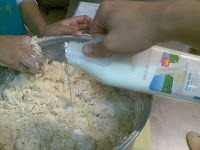 For step four and the last,add your fresh milk and mix it until it looks like bread dough. After all the ingredient added,weight it to 70gm or 100gm dough ball and stick it on non stick oven tray.Coat it with egg yolk and baked it using 150 degree Celsius for 20 minutes.Try and enjoy it!